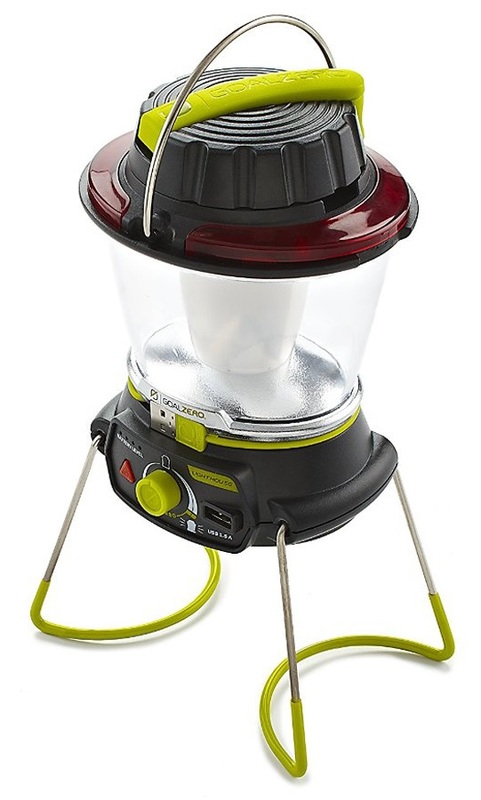 Compact and powerful USB rechargeable 400 lumen lantern with a single charge USB output for smaller devices. 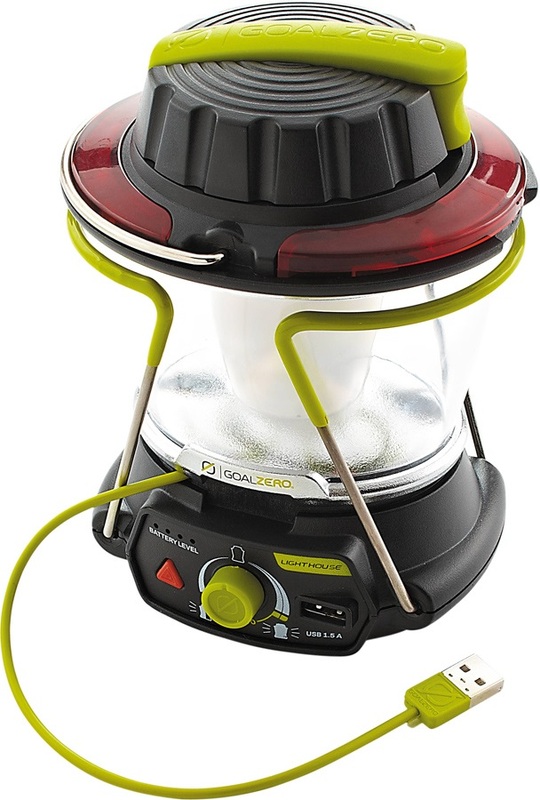 What it does - the Goal Zero Lighthouse 400 Lantern gives you a portable, high output USB rechargeable lantern ideal for pretty much any outdoor activity whether you're hiking, camping or fishing to simply relaxing in the garden on a warm summer's night. 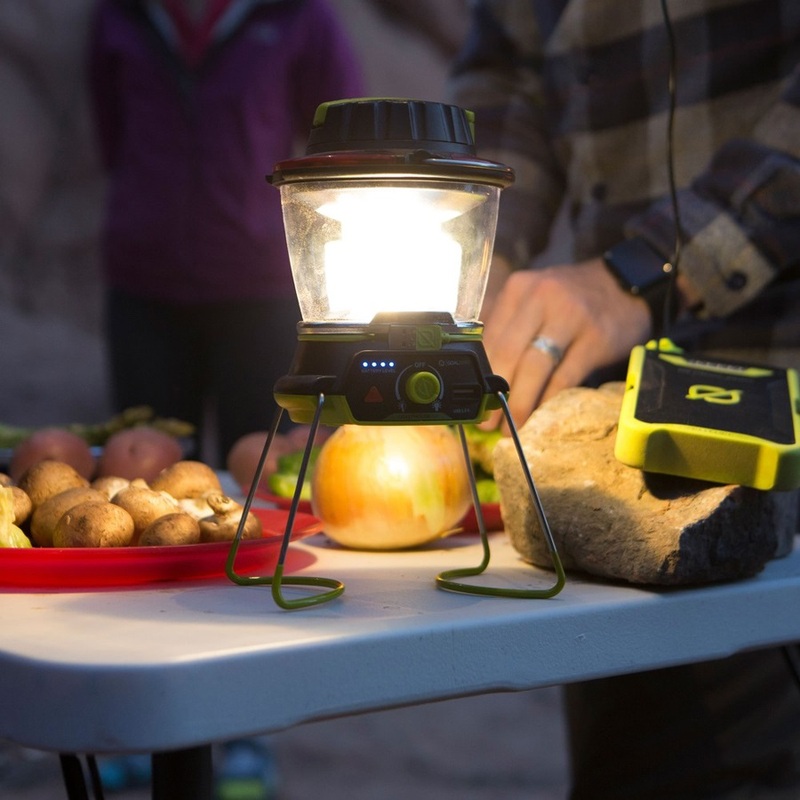 The 400 lumen dual LED offers a range of adjustment and direction offering extended run times with a red light alert mode for emergency situations. 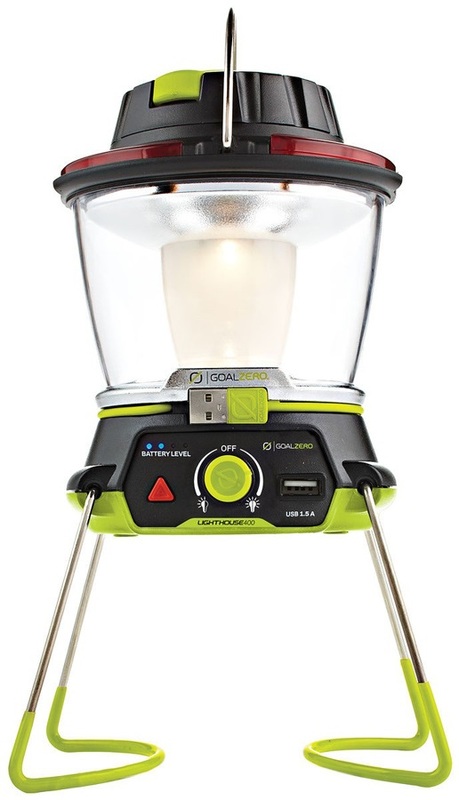 A fully charged battery can give you anything from 48 hours on low with one side in use to 2.5 hours on high with both sides illuminated. 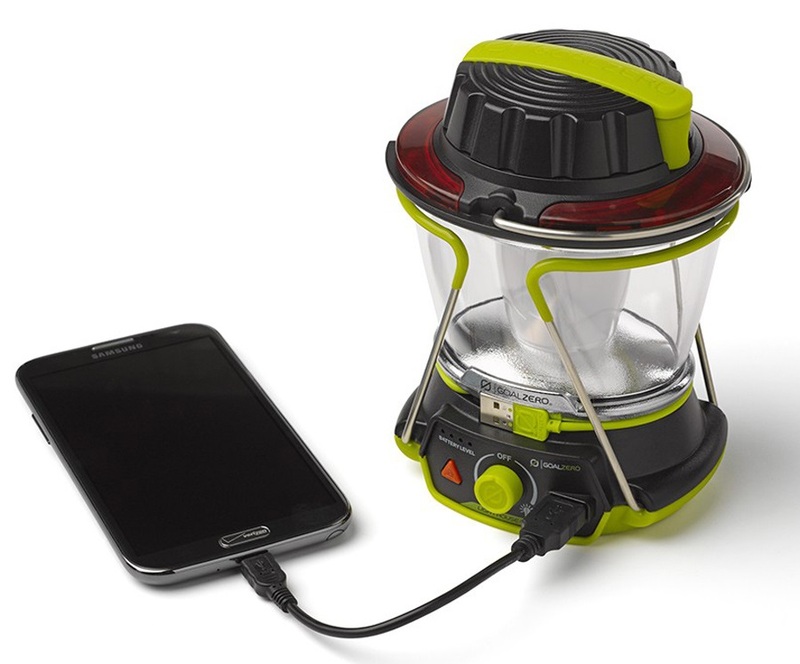 A handy charge indicator lets you know how much power you have left and when it comes time to recharge simply unclip the charging cable and attach to a USB source, Goal Zero solar kit or if you're in a fix simply pop out the integrated dynamo hand crank for an instant recharge on the go! Spare Goal Zero rechargeable batteries are available separately and make a great back-up for extended trips. 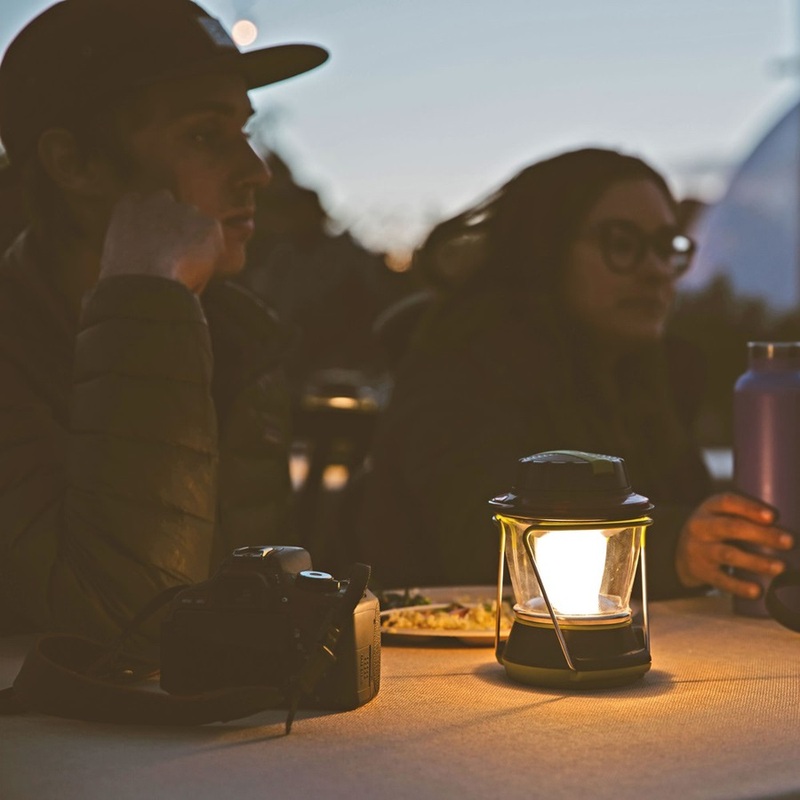 Collapsible legs give you a stable support while a carry/hanging loop provides a range of options to suit your surroundings from suspending from a tent to resting on a car exterior. 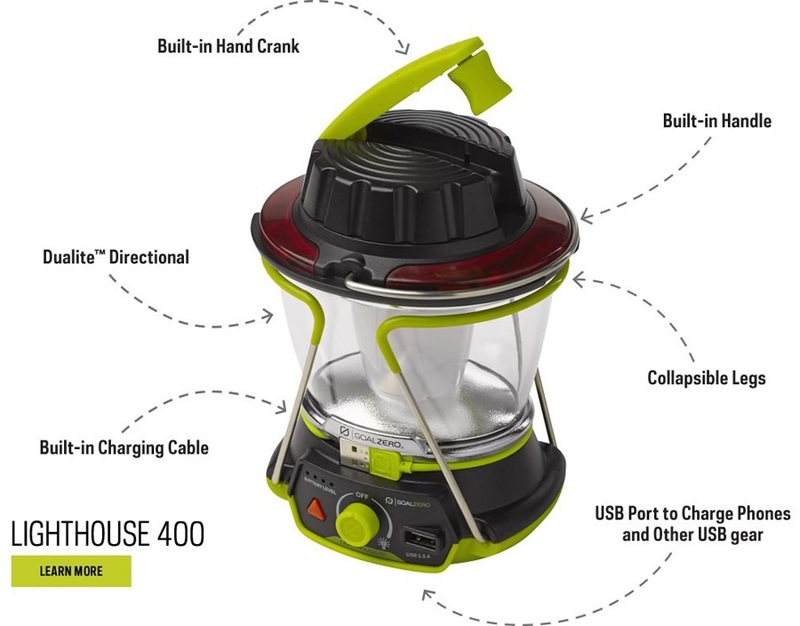 The Lighthouse Mini Lantern features a built-in 1.5A USB port with 4'400mAh battery providing enough power to recharge phones and tablets when travelling off grid. 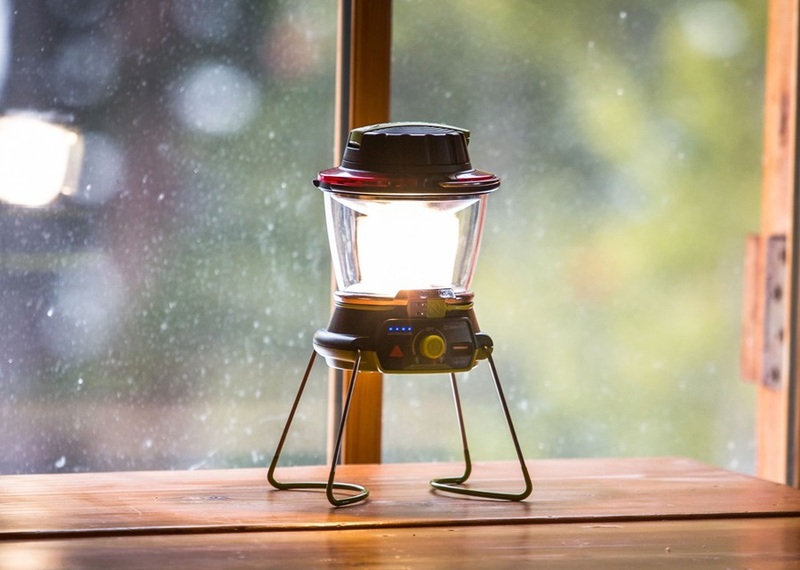 An all-round essential the Lighthouse 400 is built for the challenges of the outdoors - a lightweight construction with Goal Zero's brightest light yet it shines on through the night ensuring your precious downtime isn't lost to the dark.